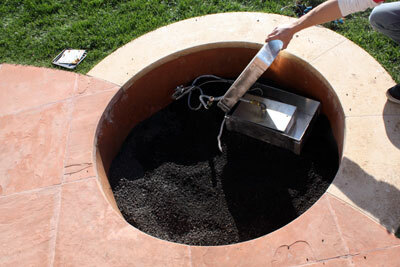 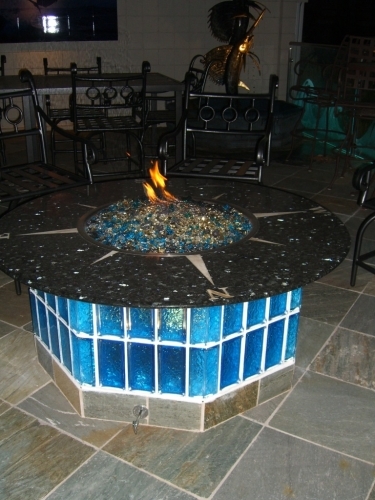 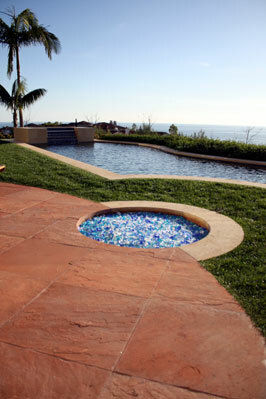 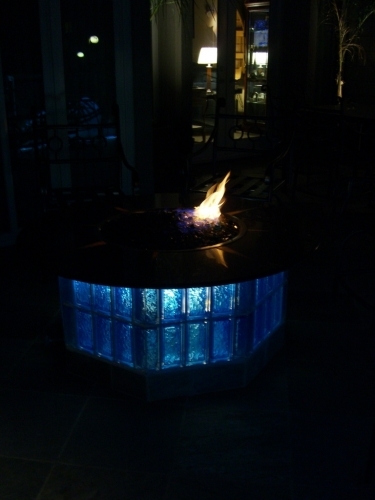 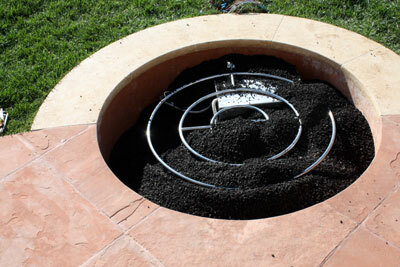 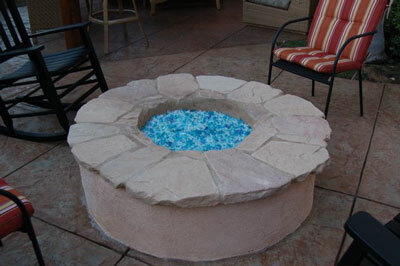 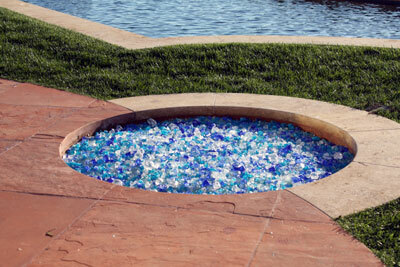 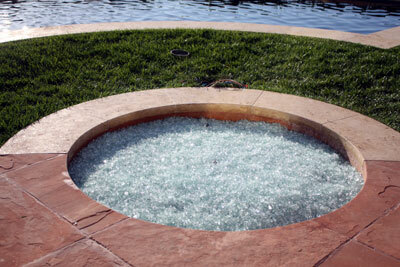 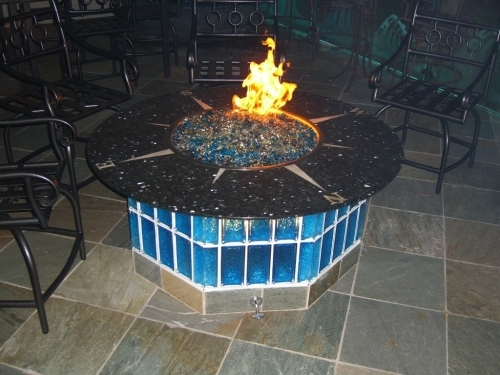 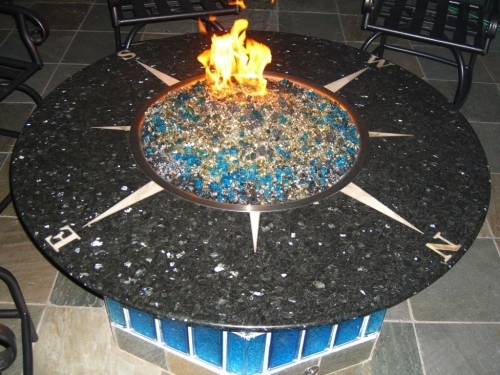 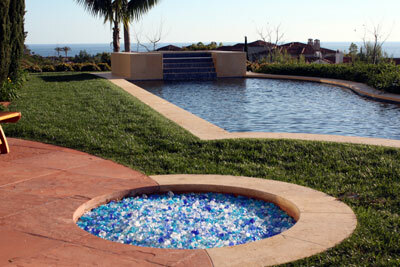 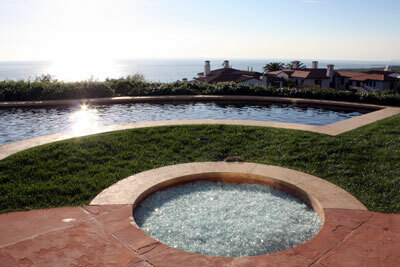 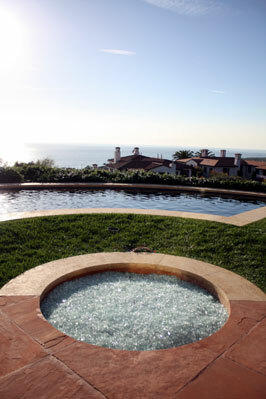 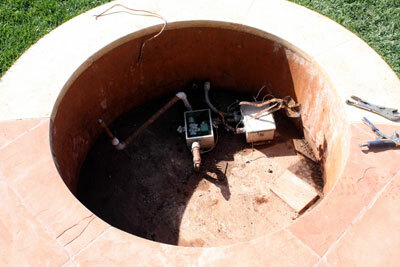 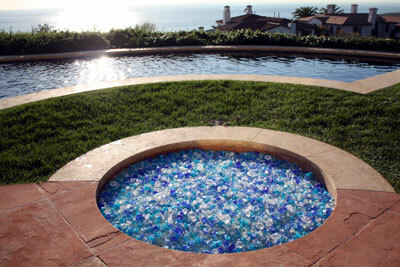 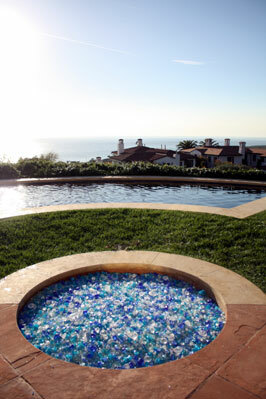 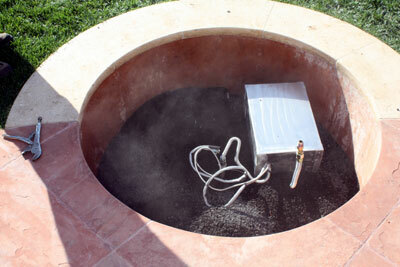 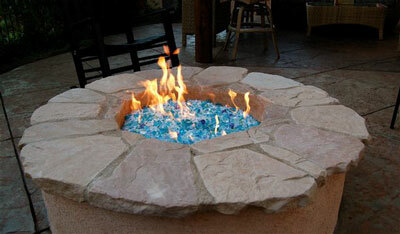 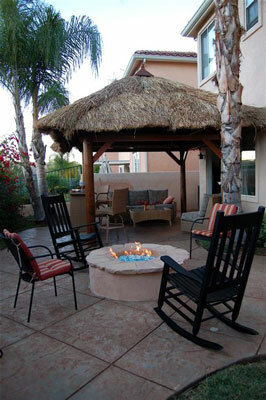 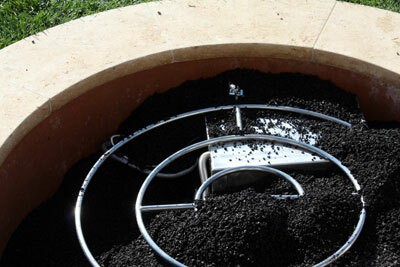 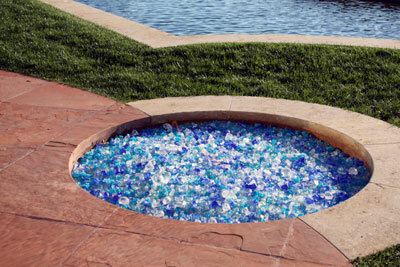 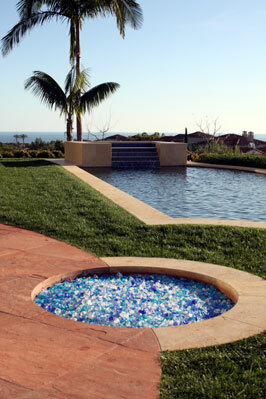 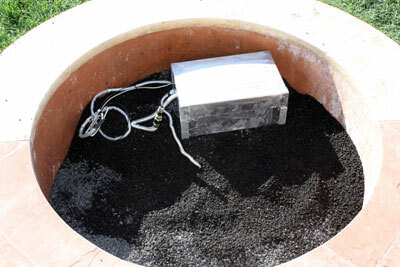 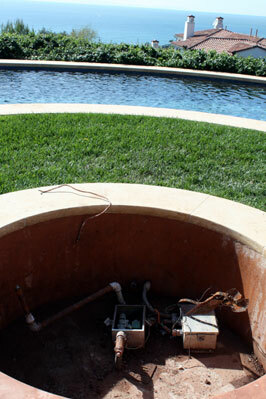 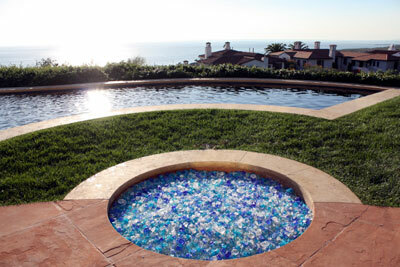 The fire pit below is a custom fire pit in Covina, California with one really great back yard design. 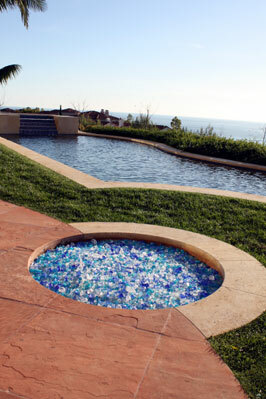 This back yard was designed for great parties. 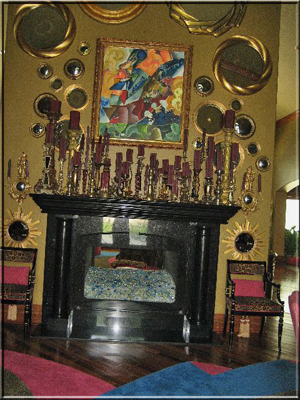 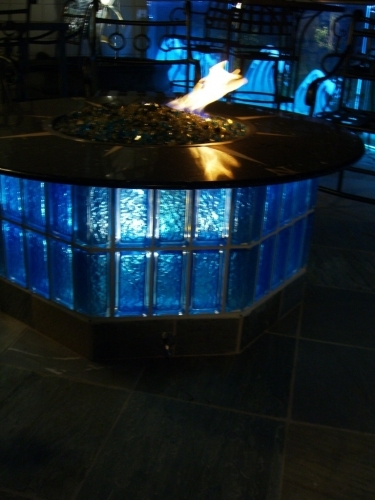 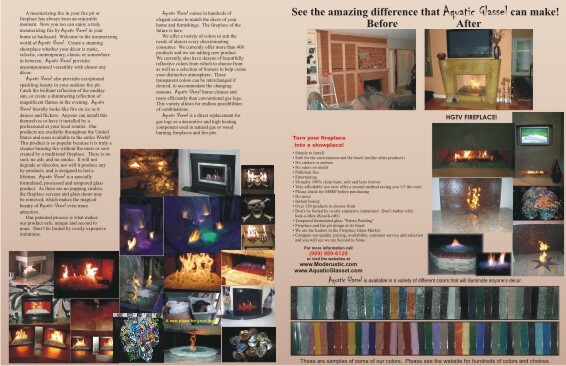 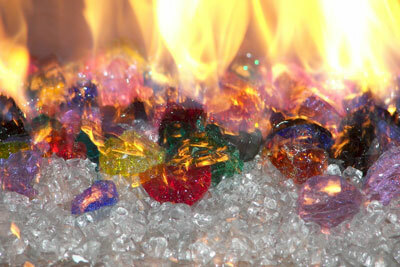 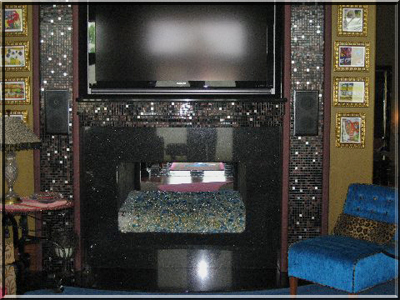 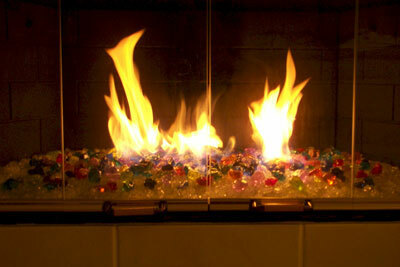 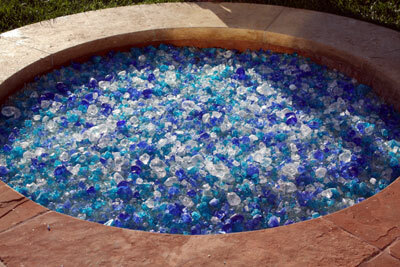 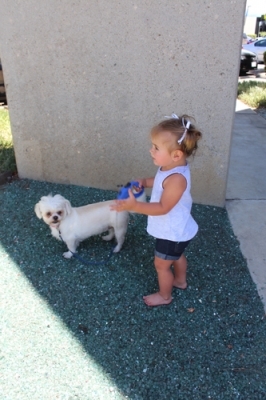 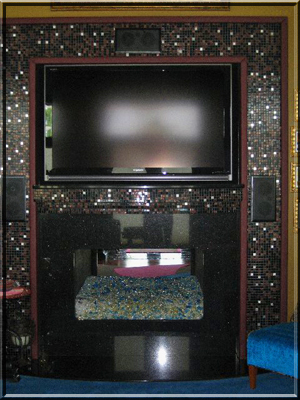 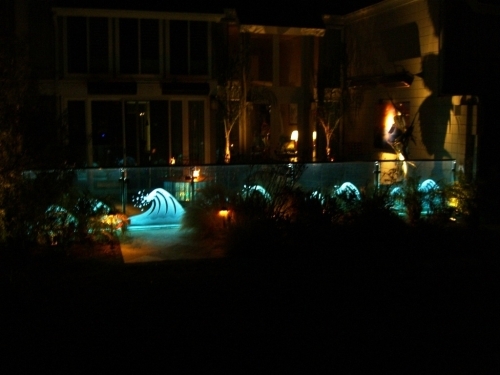 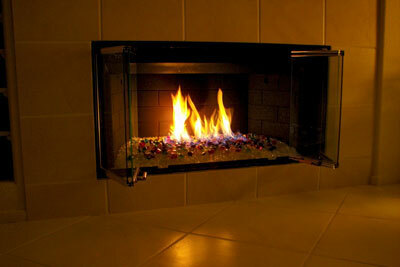 If you look and see the glass wall with the etching you will also see the fire pit in the back ground. 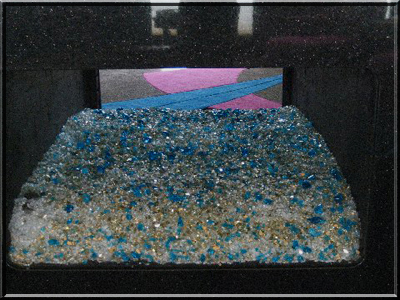 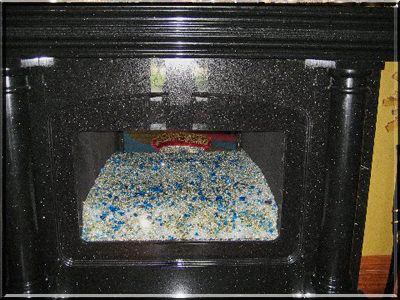 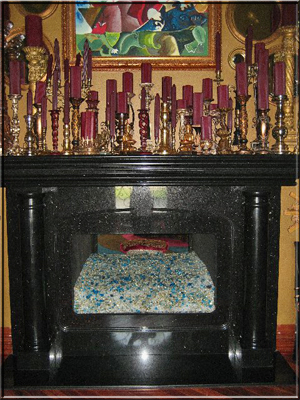 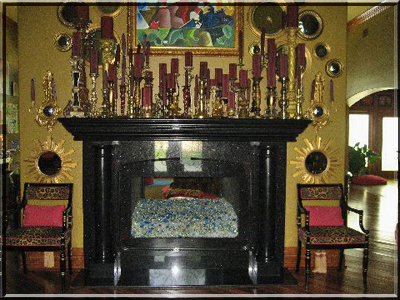 The glass that was used: Gray and Clear Pyrite base glass, Gold Reflective, and Copper Blue Topper. 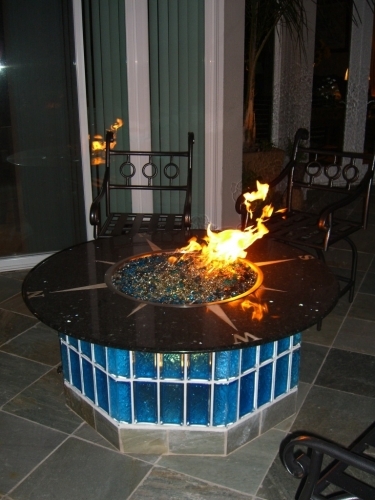 This is one really good looking table.